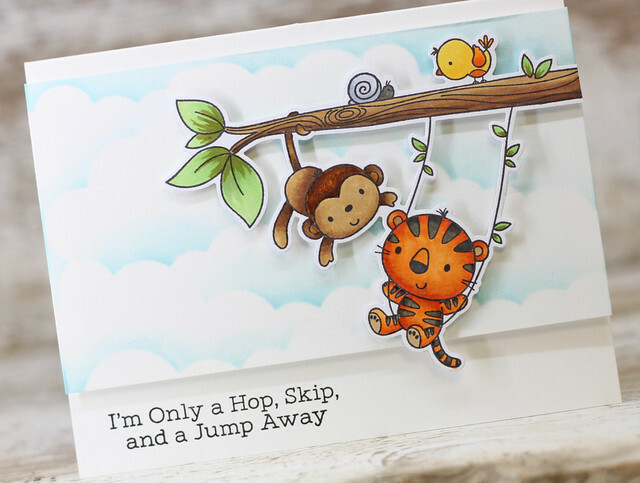 Stopping in today with a quick creation using the new set called from MFT called Jungle Gym and the new Mini Cloud Edges Stencil. LOVE. First, I made a card base with white card stock and then added the sentiment along the bottom in black ink. Next, I created a card front panel with just some light blue inking for the cloud background. I took this adorable tree image and did come Copic coloring with these adorable images! I popped that main image up on foam tape for some dimension. 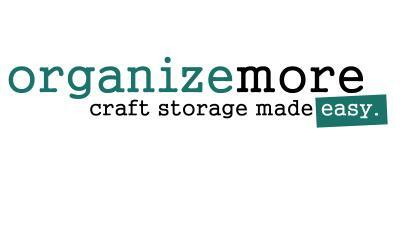 The MFT release for July is adorable but there is another release coming soon so stay tuned! 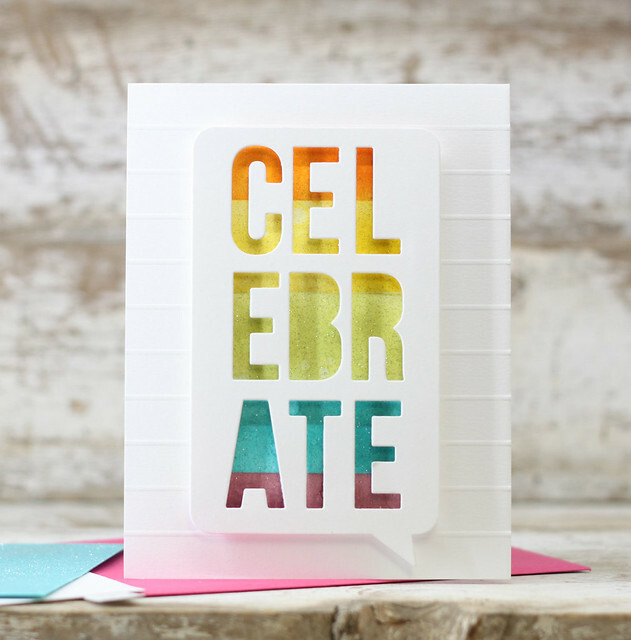 It's Card Kit Release Day at MFT! If you haven't stopped in to grab your own card kit, its now available for purchase at the MFT store. 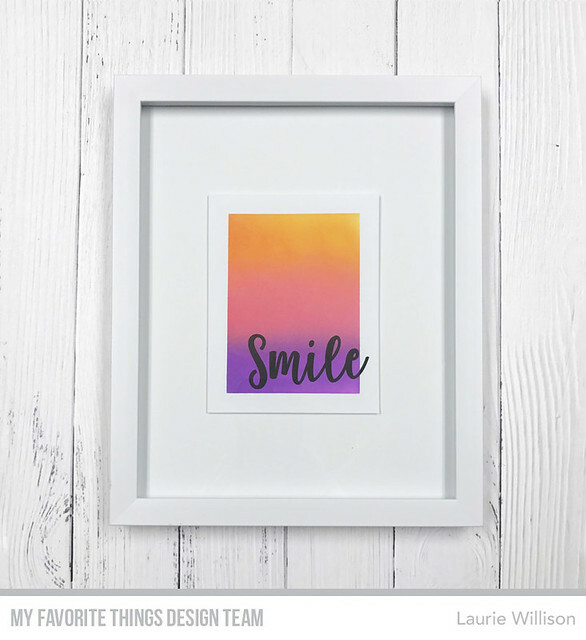 I have one last project to share using one simple image from the sentiment set included in the kit. 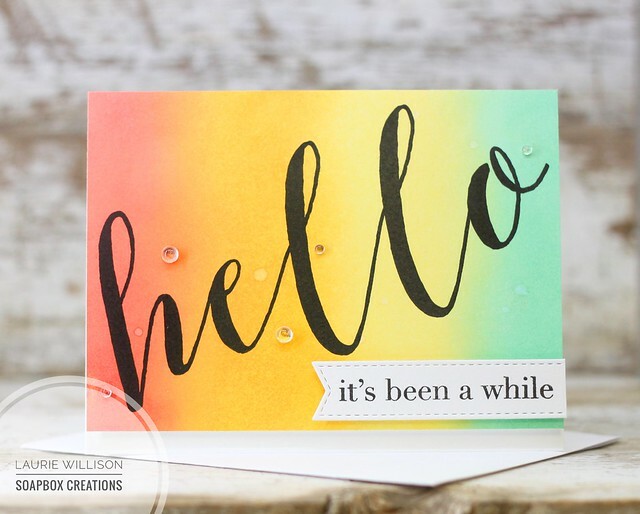 I used 3 colors of Distress Oxide inks blended onto this masked cardstock. 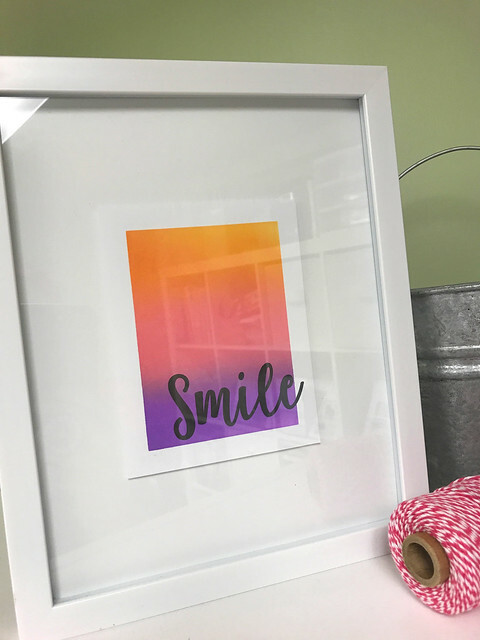 After I had the perfect blend, I simply stamped smile on the bottom. I hope you have enjoyed my countdown projects. 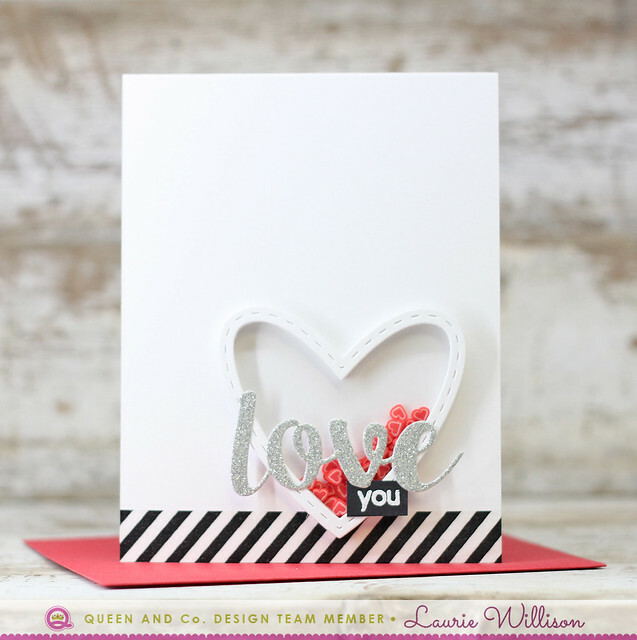 Head on over to the MFT Blog to see today's DT creations and to get a kit of your own. So glad you stopped in today! Have a great day! 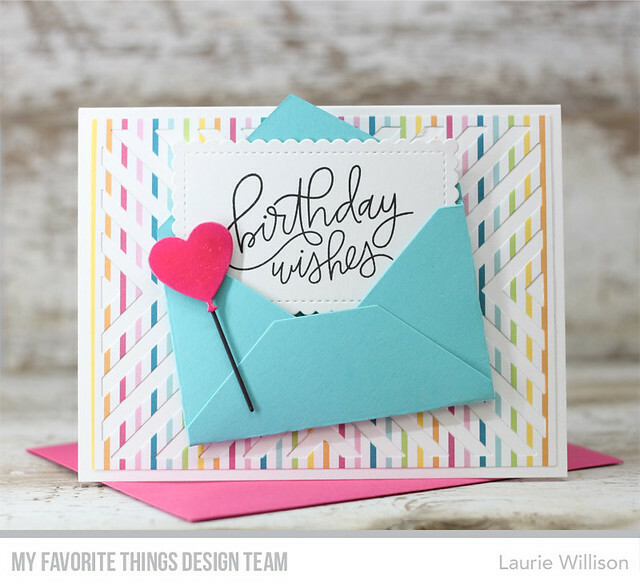 Today is day 2 of the MFT Card Kit Countdown. 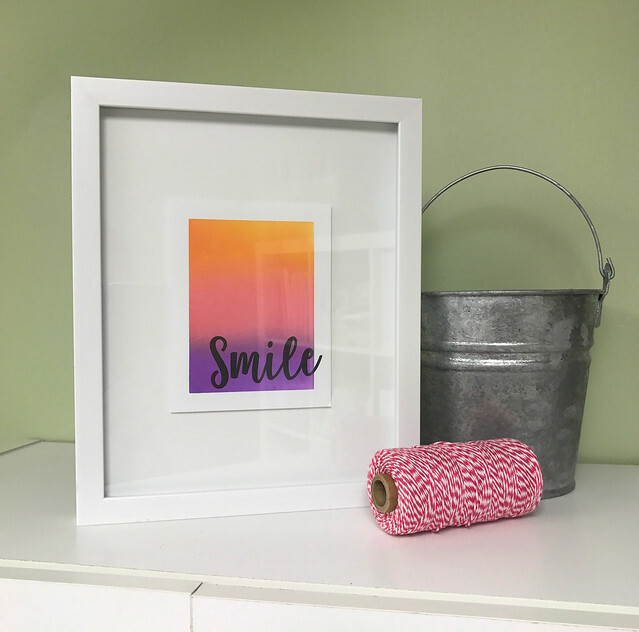 This adorable kit called All Smiles will be available for purchase tomorrow, Tuesday, July 25th at 8pm CST. Its a gorgeous kit! 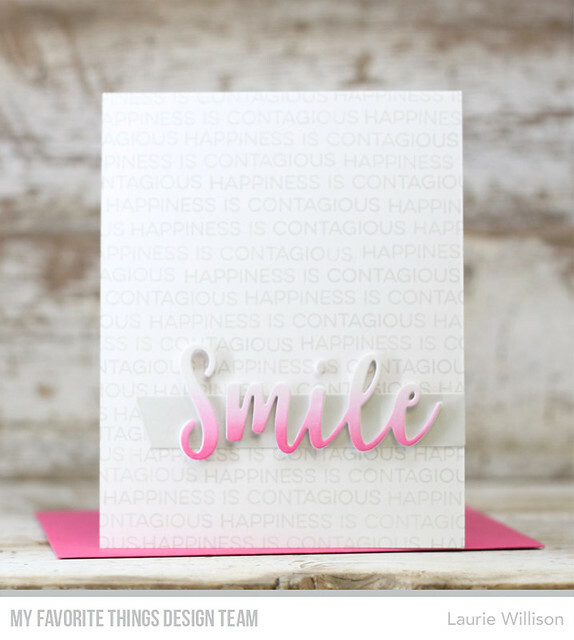 I have a CAS card to share today using the sentiment set included in the kit, the smile die and the Slanted Sentiment Strip die that is a free gift with purchase over $60. I used "Happiness is Contagious" and covered the background with it. Next, I added in the slanted strip die. 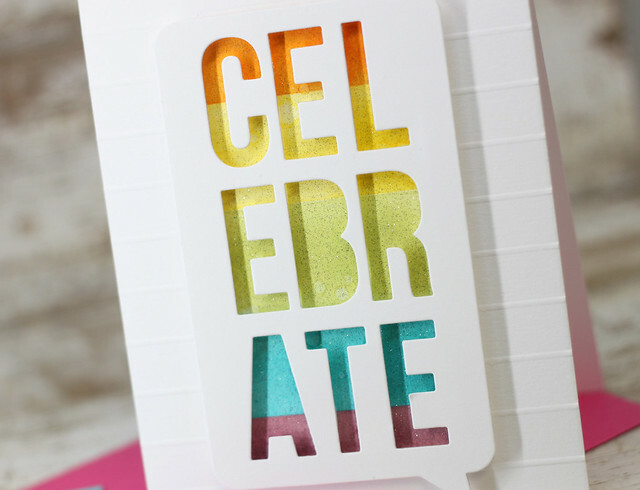 I cut the smile out of white cardstock and fun foam but before I did that, I did a little ombre ink blending so the sentiment would pop from the card front. 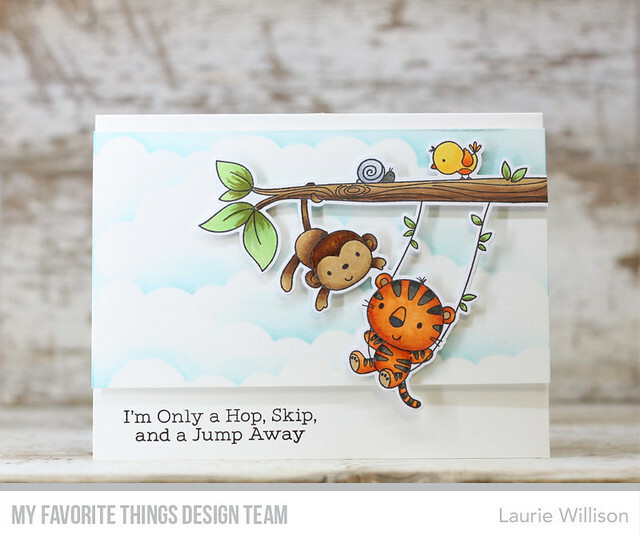 This kit is so fun and there is lots more to see over on the MFT blog. The DT has some beautiful cards created and ready to share. Thanks so much for stopping in today! Hope you have a great day! 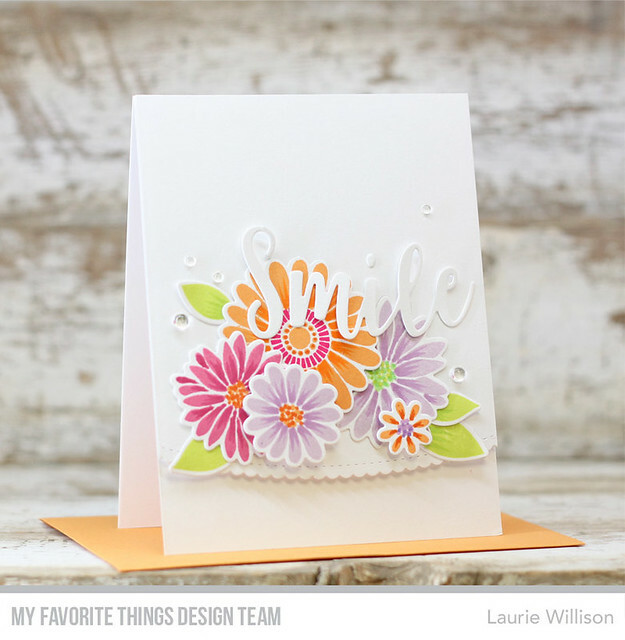 My Favorite Things July Card Kit Countdown starts today! The latest card kit will be available, Tuesday, July 26th at 8pm CST. This kit is CA-ute. 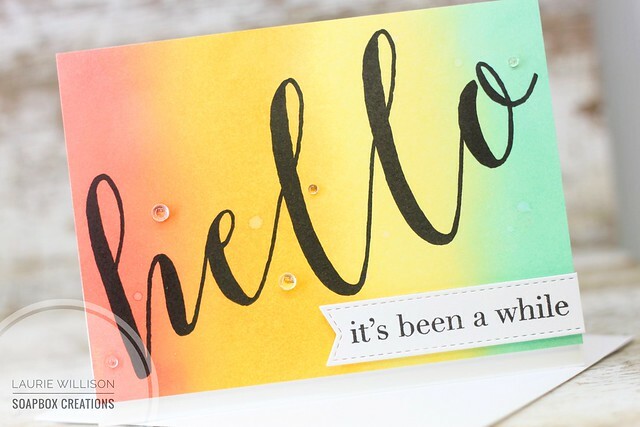 An adorable stamp set with a GENIUS new die cut feature....check out the MFT blog for the video....an adorable stamp set with LOTS of sentiments and sentiment dies that are super cute! 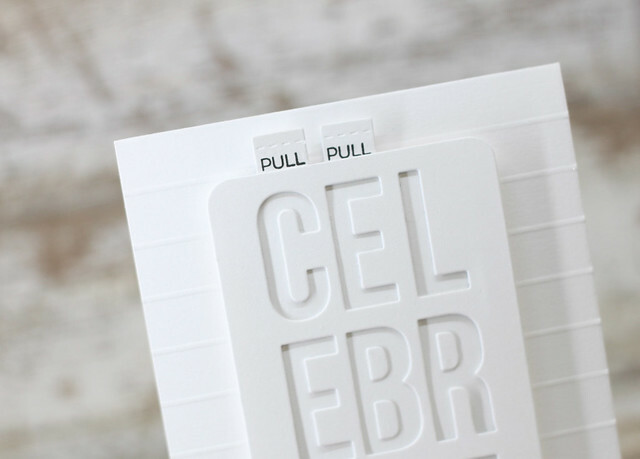 For this card, I used the Stitched Scallop Basic Edges to create the popped up panel on the card front. 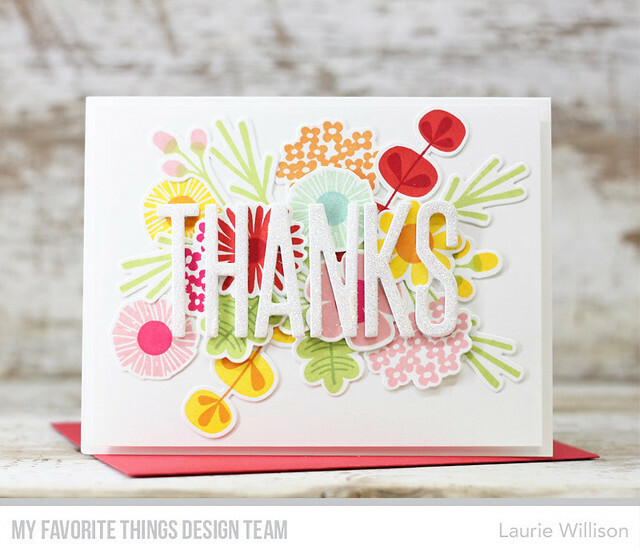 Then I stamps, copic colored and die cut these gorgeous blooms. I used my Press N Seal technique to arrange the blooms on the card front. You can check out my original video on how to use Press N Seal by clicking HERE. ....then pressed them down on the card front! Easy peasy! 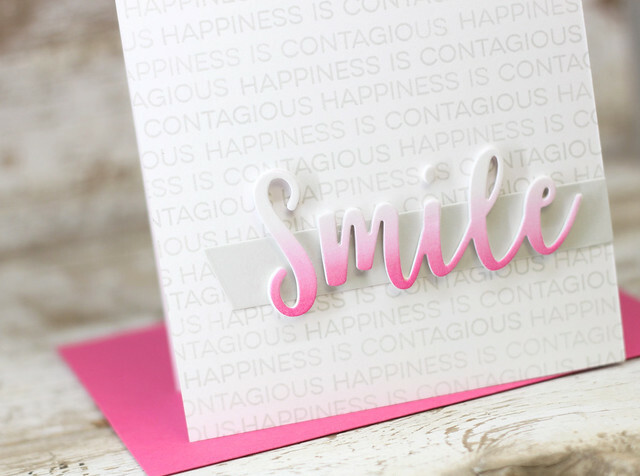 Next, I added in the Smile sentiment....I adore the die! 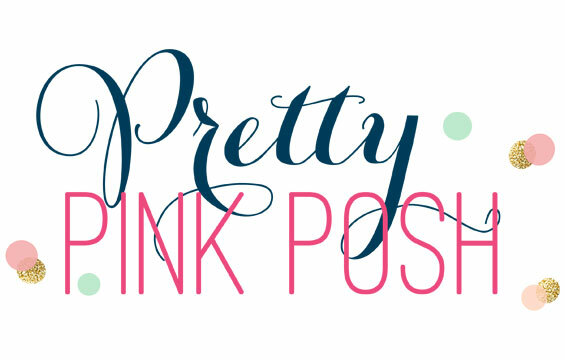 Such a pretty font! 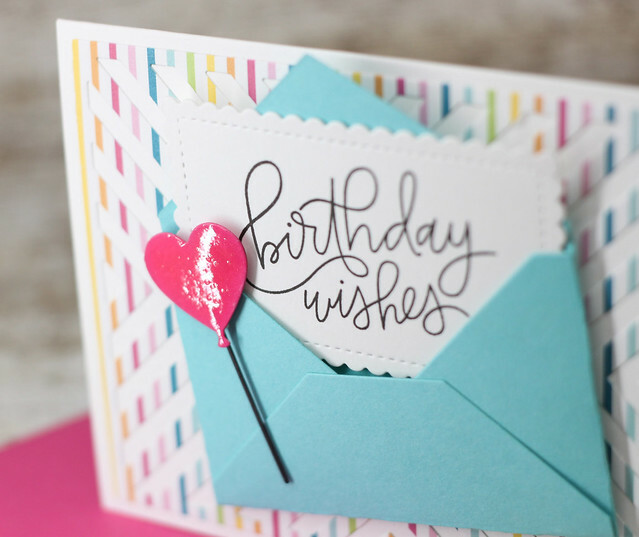 And last, I added in some dew drops on the card front. 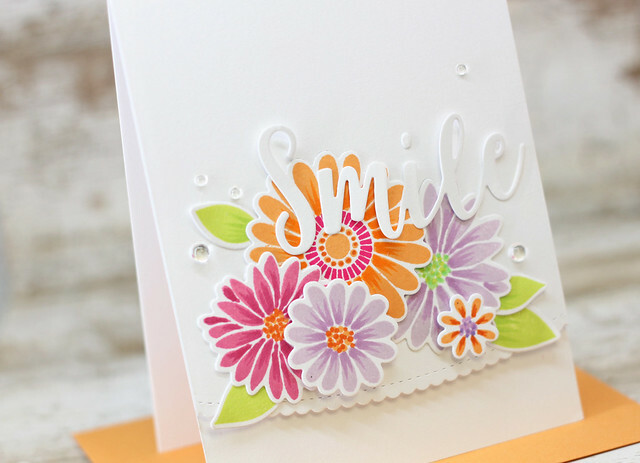 Head on over to the MFT blog to see more of the card kit countdown for July. The kit will be available Tuesday, so stay tuned for another countdown day tomorrow. Hello there! 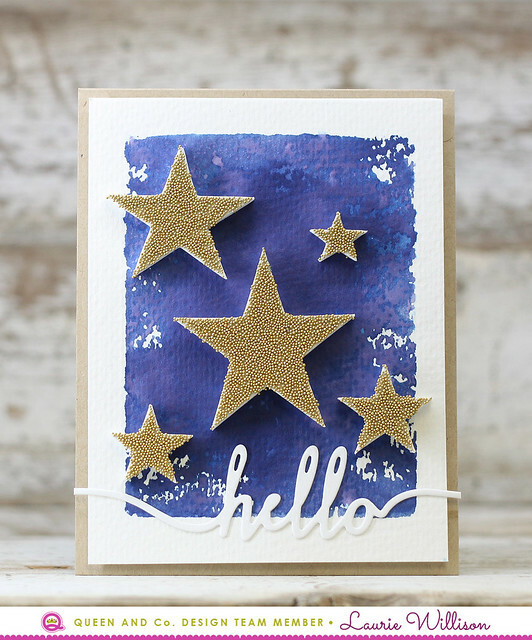 I'm here with a couple of cards using the Star Shaker Card Kit from Queen and Company, to make 2 cards. I did a navy wash on watercolor paper and added that to a kraft card base. Next, I added the stars and removed the the top layer and then used the baby beads to cover each of the adhesive stars. 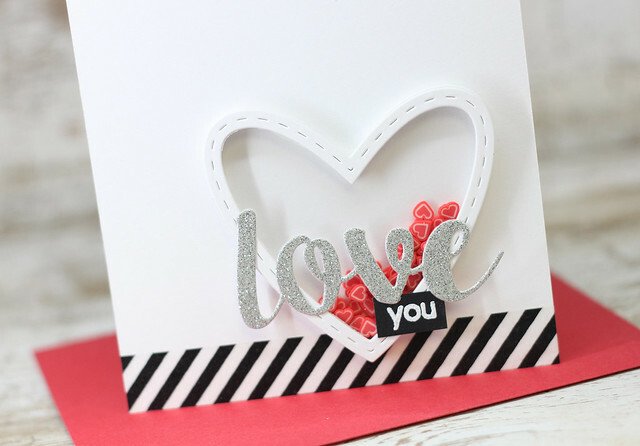 I added in a simple sentiment die cut to finish of the card. 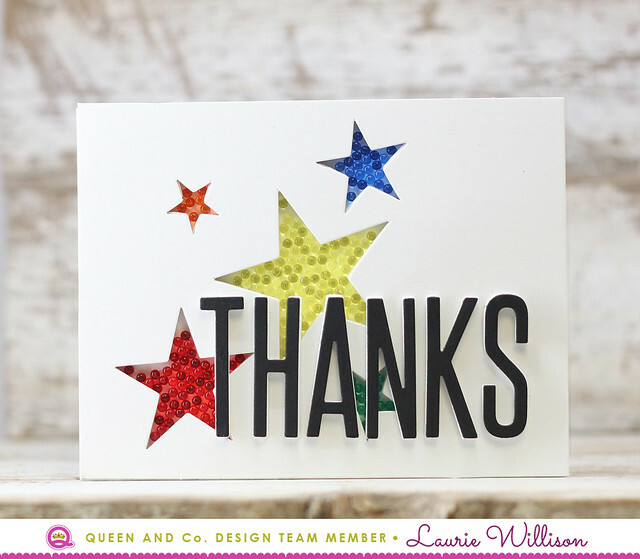 I popped a die cut sentiment up on fun foam to complete the card. Easy peasy! Today the MFT Design Team are sharing the Release Replay for the July 2017 Release. 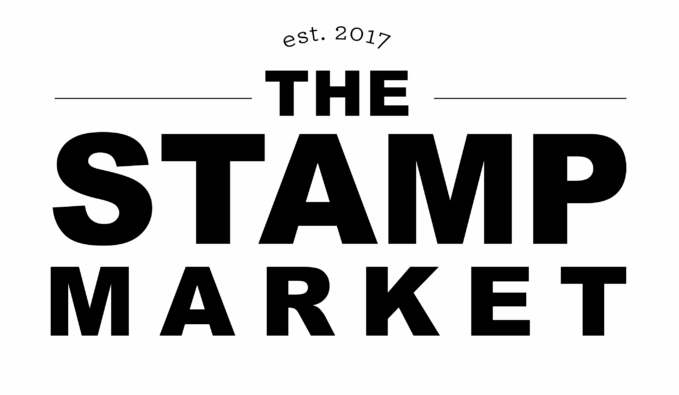 There were SO many amazing new products released this month. I wanted to stop in and share the first card I made when I got my package of release goodies. 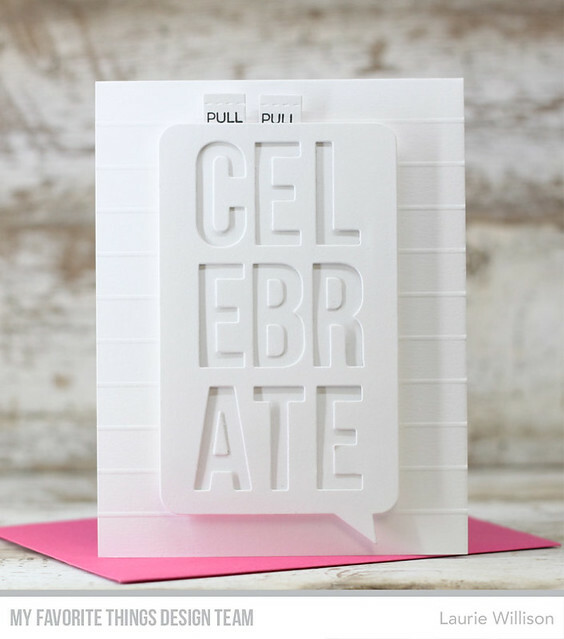 I saw this Celebrate Speech Bubble die and knew that it needed to be an interactive card. I have several pics to share and a short video of how it works linked below. To create this card, I took a white card base and scored every half inch. 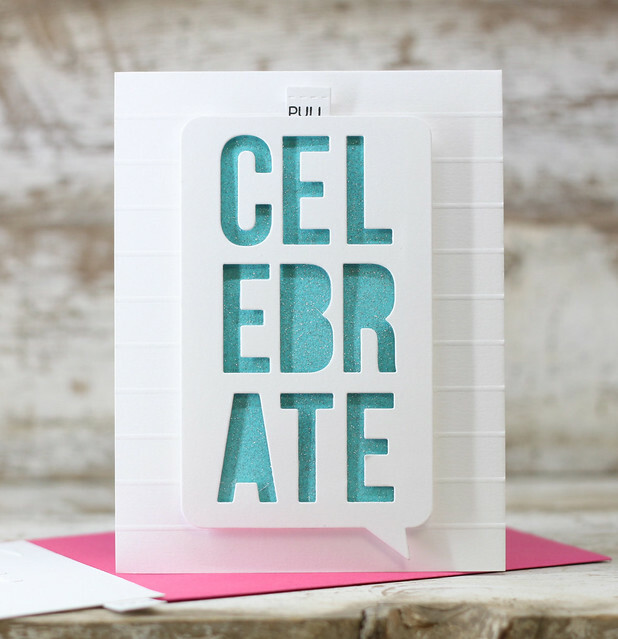 Next, I took the celebrate die and added 2 layers of foam tape around the sides and along the bottom. I wanted there to be room for a removable window.....or in this case 2 removable windows. I took the set called Interactive Labels and created to "Pull" tabs for the tops of the slide outs. 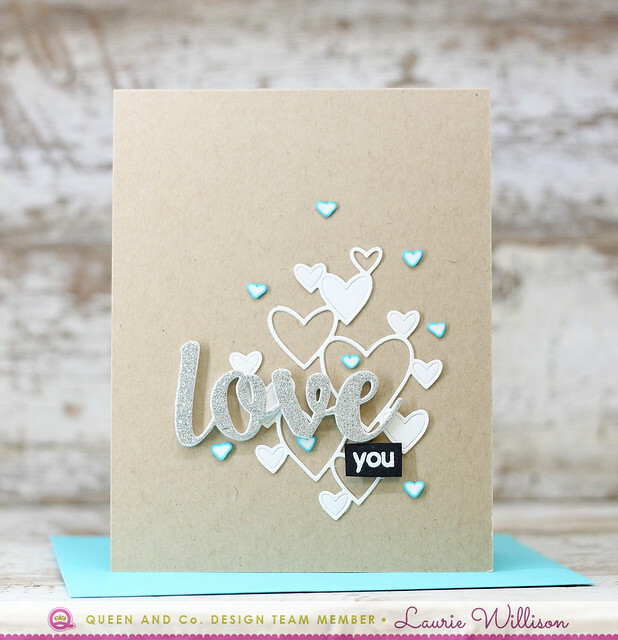 I took a piece of Blue Raspberry cardstock and sprayed it with Silver Glitter Dust Spray for a fun bunch of sparkle. There will be lots more to see over at the MFT Blog. Head on over there and check out the Release Replay! 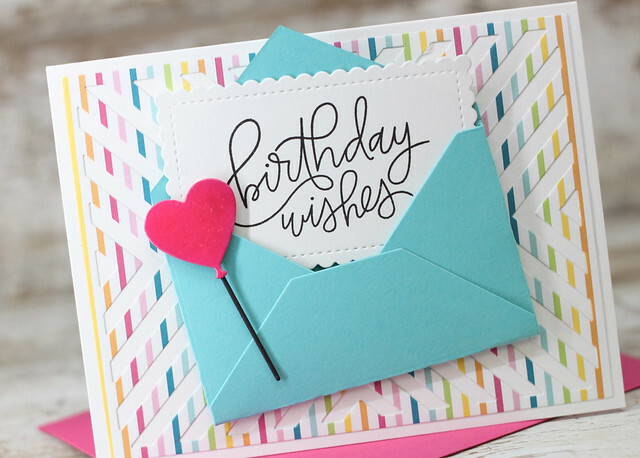 First, I pulled out the Four Way Chevron Cover-Up and the Sweet Celebration Paper Pack to create the background. Next, I die cut the envelope in Blu Raspberry. 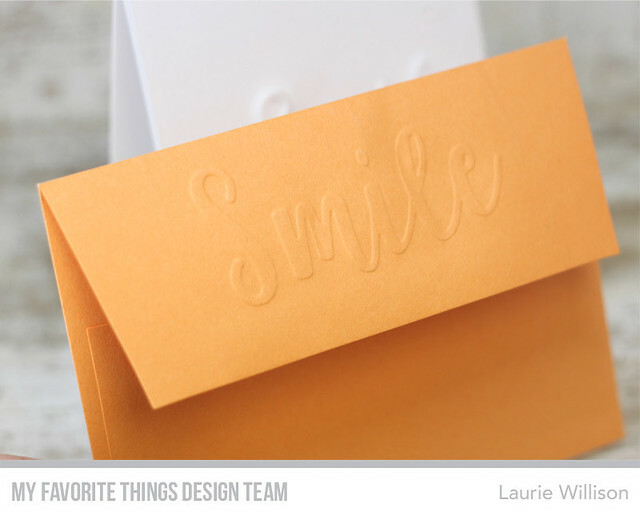 I used one of the Stitched Mini Scallop Rectangle Stax for the note inside the envelope. The birthday sentiment from Handwritten Happiness fit perfectly! To finish off the card, I die cut one of the new Heart Shaped Balloons and added it to the envelope with foam tape. I wanted it to stand out, so I covered it in Glossy Accents for a little shine! Head on over to the MFT Blog to see more of this months release. So glad you stopped in tonight. Have a great evening! I used the press n seal technique I shared back in 2016 to lay these flowers out. SO much easier and so quick! 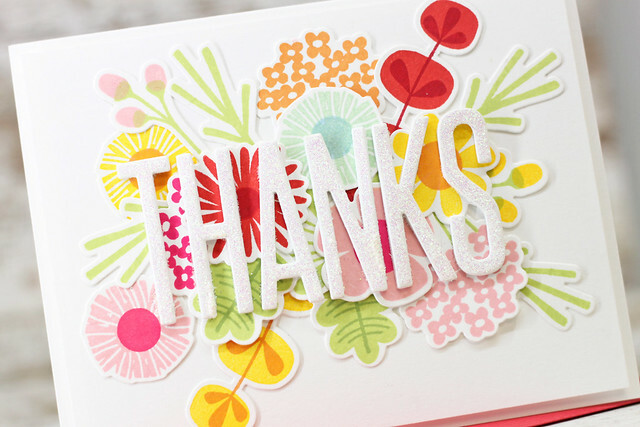 Next, I die cut white card stock and fun foam to create the "Thanks" sentiment. I added Glossy Accents to the letters and then did a sprinkle of glitter on top. Last, I added the card front to the card base with fun foam and done! That's it for today! So glad you came by. The July MFT Release starts next week so stop back by! Hope you have a great 4th of July!